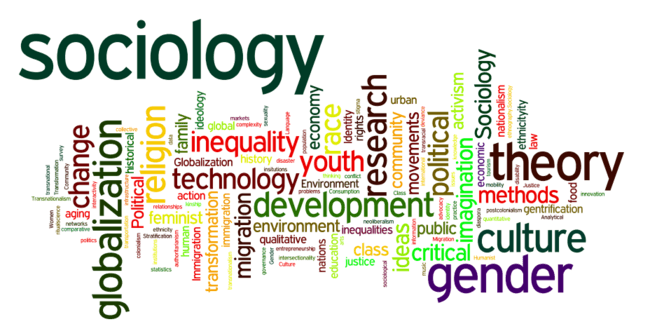 Sociology is the study of human society and social behaviour. Though Sociology does not have a long history it does have a long past, for thousands of years men have reflected upon societies in which they lived. In the writings of Plato, Aristotle, Manu, Kautilya, Confucius, Cicero and others we find major attempts to deal methodically with the nature of Society Law, Religion, Philosophy, etc. Plato’s Republic, Aristotle’s Politics, Kautilya’s Arthashastra, Confucius Analets, Cicero’s ‘ On Justice’ are some of the ancient sources of social thought. However, sociology as an independent science came to be established only in the 19th century due to the efforts of the French Philosopher Auguste Comte (1798-1857). Comte invented the term Sociology and was the first man to delineate the subject-matter of Sociology from all the other sciences. The discipline started as the ´science of society´, however with time, sociology has moved on to more reflexive attempts to understand how society works. The Improved understanding of a given set of social circumstances gives us all a better chance of controlling them. Sociology provides means of increasing our cultural sensitivities, allowing policies to be based on awareness of divergent cultural values. It helps in investigation of consequences of particular policies and programs. Perhaps most important, it provides self-enlightenment offering groups and individuals an increased opportunity to alter conditions of their own lives. 3. Caste, Class & Occupation. 5. Varna, Ashram, Purusharth and Sanskar Vyavastha. 8. Issues and Problems of Society.